An attentive and concerned primary care physician, Dr. Vincent Jarvis brings extensive experience to his role at NYU Langone Health. He caters to the community of New York, NY, and welcomes patients for the treatment of a range of common and specialized conditions. A qualified internist, Dr. Jarvis pursued his medical education from the Icahn School of Medicine at Mount Sinai. He then went on to complete a residency in internal medicine at Long Island Jewish Medical Center. Additionally, he holds a master's degree in public health from Columbia University. Passionate about medicine, he is also certified by the American Board of Internal Medicine. 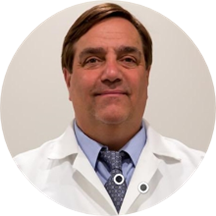 Dr. Jarvis strives to treat each patient to the best of his ability while ensuring that both patients and their loved ones comprehend the different possible methods of treatment. He gives them his undivided attention and practices with the goal of helping each of them lead healthy and fulfilling lives.